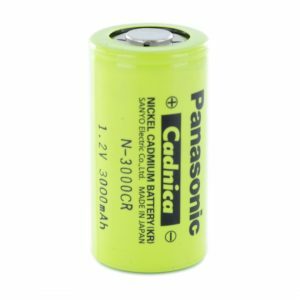 The Panasonic N-3000CR/T is a Rechargeable C size Tagged NiCd battery which is 1.2V, and has a capacity of 3Ah. 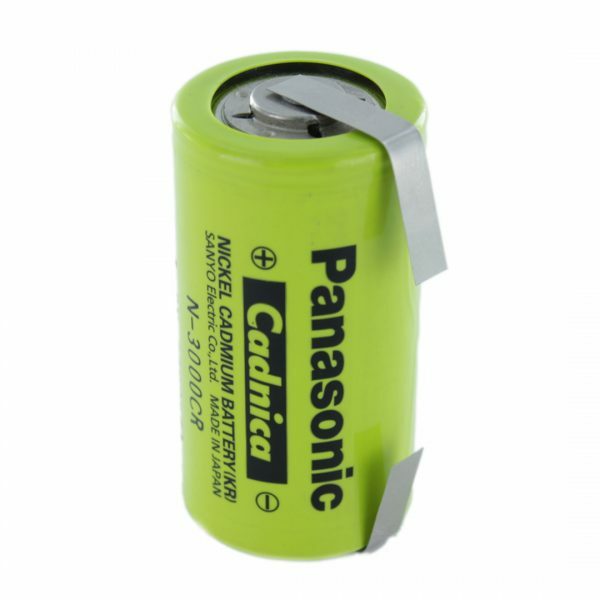 Part of the Panasonic Cadnica Fast Charge (-R-series) range, comes in a cardboard sleeve. An Untagged version of this cell is available.